Blaupunkt has introduced a new multimedia navigation system called the Cape Town 940. The system is powered by Android JellyBean v4.1.1, and is compatible with iPods and iPhones. It sports a capacitive touchscreen and is powered by a dual-core Cortex 9 chipset with 1GB of RAM. Blaupunkt introduces Multimedia navigation Cape Town 940.The Blaupunkt Cape Town 940 is the company's flagship in-car unit. It has a 6.8-inch TFT capacitive touchscreen. 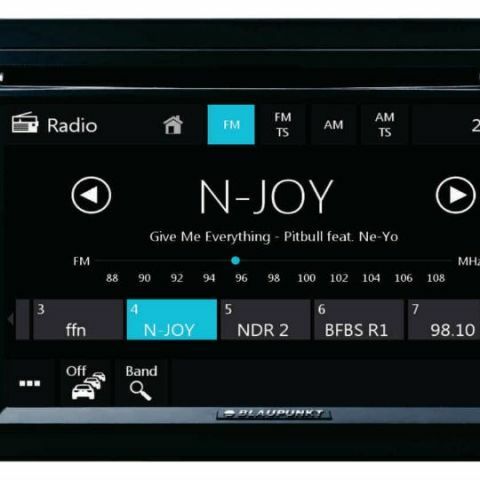 The 940 is a head-unit with an actual operating system, android version 4.1.1 JellyBean, and hence promises to offer up all the conveniences and features of your average android smartphone in your car. Running an OS like Android on a multimedia device opens up a lot of possibilities for the manufacturer and customer, alike. The widescreen Head-Unit of the Cape Town 940 wears the familiar look and feel of android JellyBean and offers similar functionalities like a similarly equipped android phone. The display also sports a capacitive touchscreen, instead of the resistive tech offered in most of the other rivals. This means that the display was quite intuitive and smooth to operate, giving the user a more ‘premium’ feel. The entire setup is quite user-friendly in its operation and that follows through and through. The dual-core cortex 9 chipset ticking under the 940 is clocked at 1GHz and has a 1GB RAM to give it company through all the processing. This is the latest product of Blaupunkt is available all the leading stores and dealers. Best multimedia speakers under 8k ?